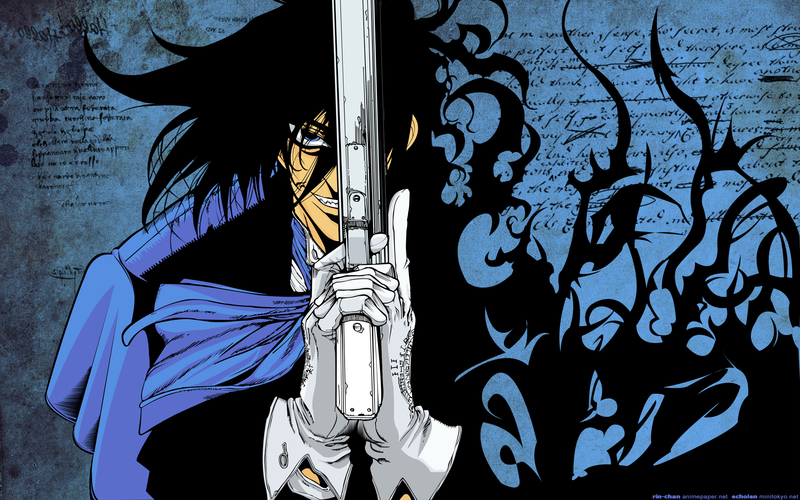 Hellsing has got to be my favorite vampire series, it's just awesome! I got a vector made by ~TheMajor, I thought the blue is a really nice change from the typical blood red. I wanted to focus mainly on Alucard so I made the background a bit fainted compared to him. I made a texture background and added some typography textures and brushes. i cant express how much i love this, the textured background and the scan are fabulous together. but i think the color of his face is a bit too yellow and the shadows on his clothes should be a bit darker. i also think that texture inside the non-black parts would have enhanced the blending. forgot to mention the black "lines" that you have for shading, need to be more curved in certain spots where it looks too stiff. 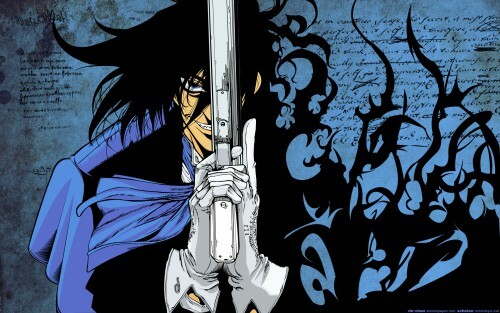 :) Awesome Alucard wall! The blue color is a nice change from the usual red. Love the title and Alucard's sinister grin. Can't wait until the next OVA is out! this is so cool! Amazing wallpaper! A very cool wallpaper. Thanks for sharing. Great Job.